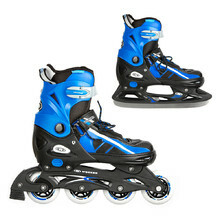 Multi-purpose adjustable skates are ideal for those who want to save money. 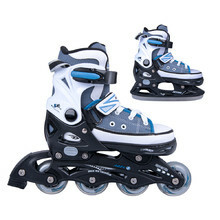 Multi-purpose skates allow you to ice and inline skate with only one pair of skates (all you need to do is change the holders). 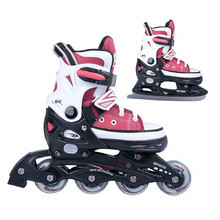 Furthermore, with multi-purpose skates, you use skates that your feet are already adjusted to. 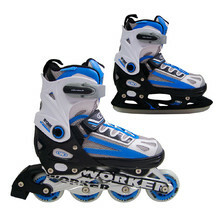 Multi-purpose skates WORKER meet the highest European safety standards and are certified by the German testing facility TÜV-GS. 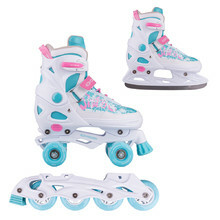 Retro roller skates, two lines of wheels, replaceable chassis, front brake. 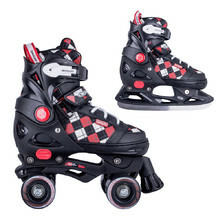 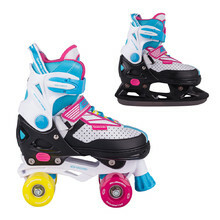 Colorful retro roller skates, two lines of wheels, replaceable chassis, front brake. 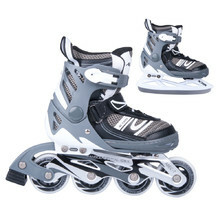 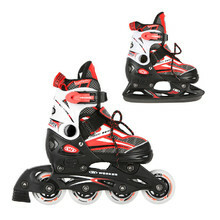 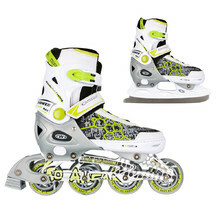 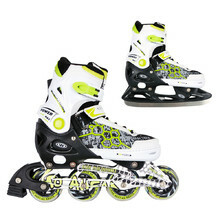 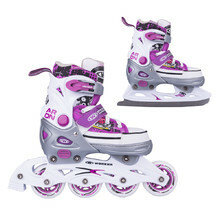 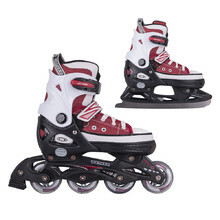 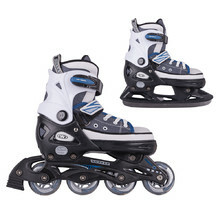 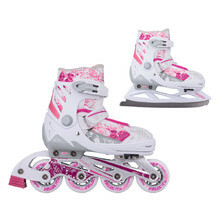 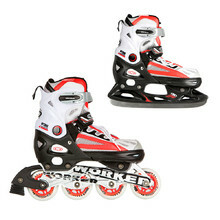 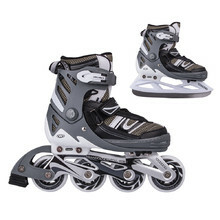 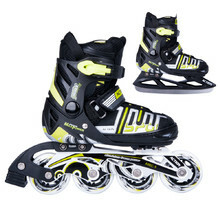 Size adjustable 2in1 skates with sneaker-like design and Comfort Fit liner. 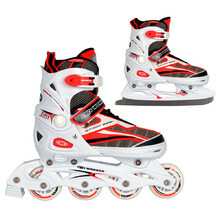 Adjustable 2in1 skates with sneaker-like design and Comfort Fit liner.